For more information, please contact Aniek Hebinck. 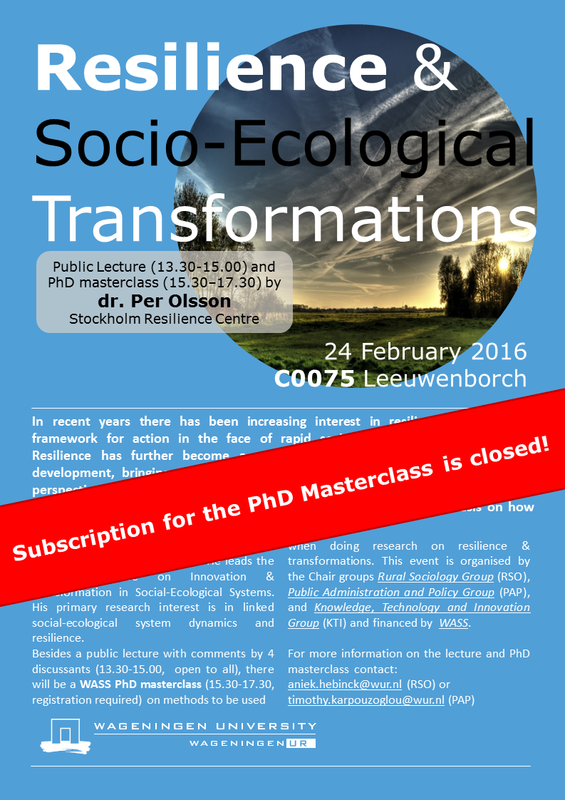 Sadly, the WASS PhD Masterclass is full and you can no longer subscribe for it. This entry was posted in Education, General and tagged Per Olsson, Public Lecture, resilience, Seminar, Socio-ecological transformations, Stockholm Resilience Centre, WASS by Aniek Hebinck. Bookmark the permalink.